Americans who want an SUV combined with a plug-in hybrid powertrain have had a very long wait. The Mitsubishi Outlander PHEV—the plug-in hybrid version of the Outlander now on sale—has been promised for several years, and it’s already a sales success in Europe. Despite being the world’s first plug-in hybrid SUV, it remains unavailable Stateside. DON'T MISS: Do BMW, Mercedes, Volvo Plug-In Hybrid SUVs Compete With Tesla Model X? Now it’s quietly been delayed once again—with a target on-sale date of November, and some more significant changes for the U.S.-market version than originally planned. 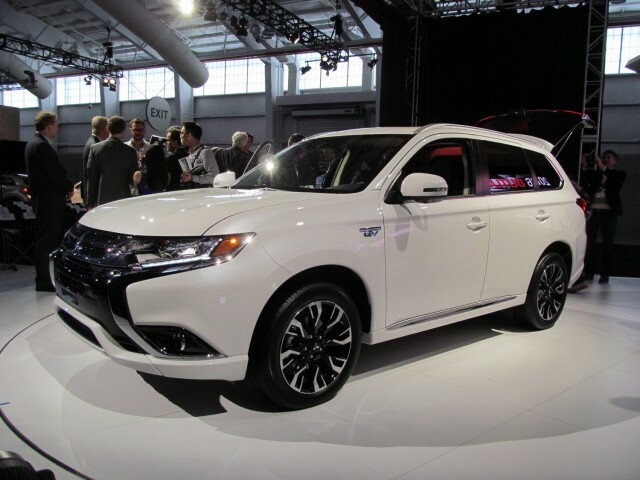 At the New York Auto Show this week, Mitsubishi revealed a cosmetically correct prototype (termed a U.S. debut), previewing the 2017 Outlander PHEV—although U.S. market details for pricing, features, and trims are still being worked out. According to company spokesman Alex Fedorak, U.S. spec for the vehicle hasn’t been locked in—and that includes the Outlander PHEV’s battery pack, which might change by the time the vehicle goes on sale. The pack will remain around the 12 kwh it’s currently rated, and it will still be supplied by LEJ, but Fedorak said that some details remain to be finalized. That could mean changes to the battery’s cell chemistry or power characteristics, all aimed at drivability, and getting significant all-electric range in American driving conditions. Mitsubishi is targeting “20-ish” miles of pure-EV driving for the U.S. cycle. There are no plans to offer CHAdeMO quick charging for the U.S. 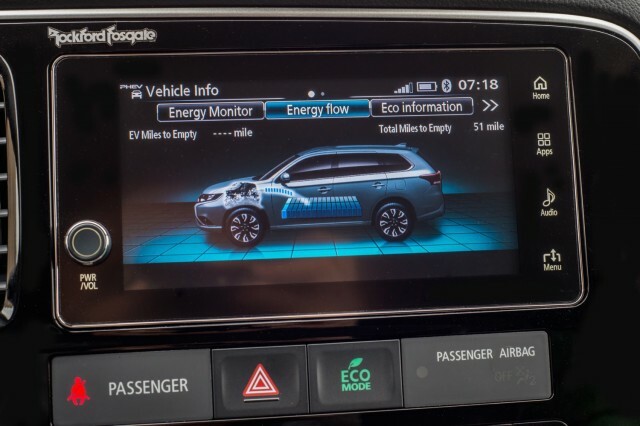 The 2017 Outlander PHEV will include a multi-mode system that allows you to operate in electric-only mode, to preserve the charge, or to allow the system to decide how to apportion remaining charge and the power split. The hybrid system uses a generator system in front, with separate electric-motor drive systems for the front and rear wheels—with no mechanical link to the rear wheels. The Outlander PHEV promises to be different than most other plug-ins on the market, in that it has an outdoorsy side and a 4WD Lock setting, and will arrive to market capable of mild off-roading. One interesting detail: Batteries and motor-system components are specially protected. 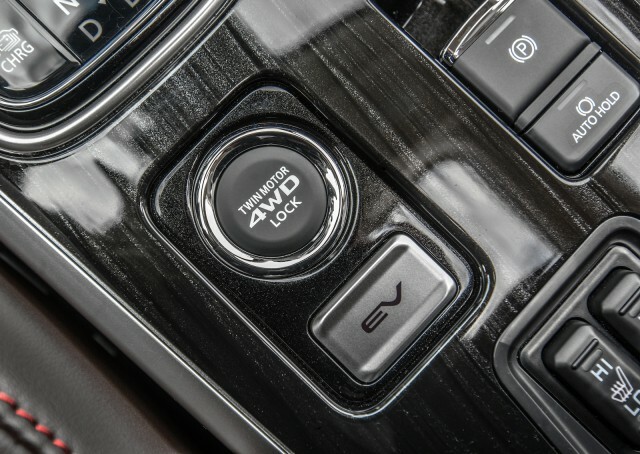 That means the Outlander PHEV, provided it has been switched to its "EV" mode, will allow limited driving in the kind of deep-water conditions usually reserved for the most hardy of off-road SUVs. Another feature that Mitsubishi is still debating for the U.S. is including a 1500-watt output that can be used as an auxiliary AC power source—during natural disasters, for instance, or when camping. The automaker expects that more information about features and pricing, as well as final production specs for MPGe and driving range, will be available by late summer. In the meantime, the U.S. arm of the automaker revealed just a few more details. The Outlander PHEV will be available in the U.S. in several different trim levels. The plug-in Outlander has only five seats, whereas the gasoline version is offered with seven-seat capability via a third-row seat. Cargo capacity will not change, though, thanks to clever battery packaging. 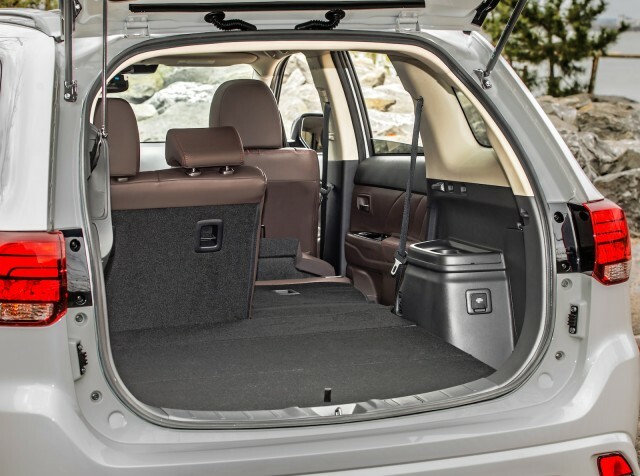 Like other plug-in hybrids, the Outlander PHEV will come with only a temporary tire-inflation kit, helping to maintain that spaciousness and versatility. Still, many features won’t change for the U.S. version. For instance, the PHEV will come with the same 2.0-liter four-cylinder engine that powers the model in Europe—which is the same 2.0-liter engine that powers the U.S.-spec Outlander Sport. The Outlander has been on sale in Europe for about three years, where it’s the best-selling plug-in hybrid on the market. In the U.K., it outsells the Leaf two to one.